Jasmine Barksdale W’16 was eating lunch in her small Minnesota hometown recently when a stranger approached. In fact, it was a little weird, especially for someone who grew up without a TV in her house. Even though the guy was right, she never expected a random 30-something to recognize her off-screen with her new haircut and no makeup and without the rest of her college singing group. Barksdale appeared—along with Penn’s rock a cappella group, Off the Beat—in a documentary series called Sing It On, which wasshown this past summer on Pop, a cable TV network. It is not, the network emphasizes, reality TV. There is “no meddling,” they say; the drama comes straight and unsullied from the college singers who are competing in the International Championship of Collegiate A Cappella competition, made famous in the Pitch Perfect movies. Season two followed Off the Beat and three other East Coast teams as they auditioned new members, chose soloists, sharpened choreography, and battled through several rounds of ICCA competition. In the first episode, which premiered in July, OTB karaoked against rival team Faux Paz from the University of Maryland. 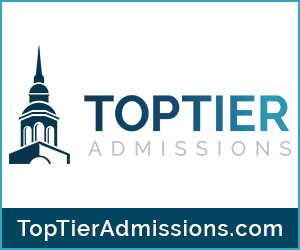 As the season progressed, the Pop cameras followed Penn’s group from the 2016 Mid-Atlantic quarterfinal, where they finished second, to the semifinal round at the Kimmel Center, where they did not advance. 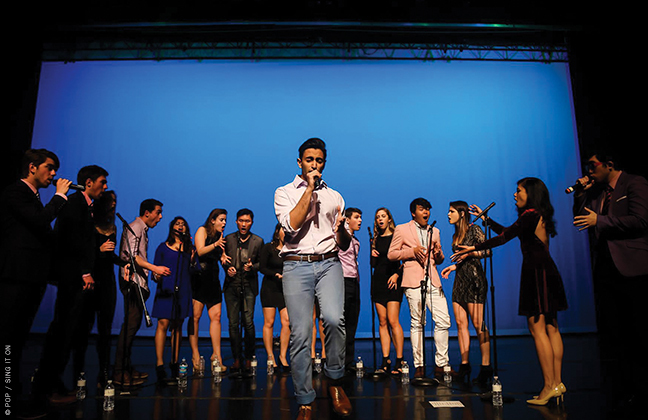 For Brian Park C’18, an economics major who sings tenor, getting Off the Beat onto Sing It On was his “passion project.” He applied on the group’s behalf, set up casting interviews, and even negotiated the contract with Pop. He says OTB’s star turn almost didn’t happen, though, since some members weren’t eager to do reality TV. Barksdale was one of the wary ones, but “it boiled down to putting the group ahead of the individual,” she says—especially knowing that a TV appearance could raise the group’s profile and attract more lucrative singing gigs. Barksdale and Rohan Waghani W’16, then music director and president of the group, wound up with the most screen time because of their at-odds approaches to a cappella. “Personality-wise, we are oil and water,” Waghani says in the first episode. It’s not hard to see why: He chats and giggles through choreography practice, and forgets the notes during a solo audition. Barksdale, on the other hand, “runs rehearsals like she’s a drill sergeant,” he says. Jessie Surovell, vice president of development at Pop, says that dynamic was one reason Pop cast OTB. According to Surovell, the network began scoping out Penn groups for season two early on. That’s partly owing to the University’s robust a cappella scene. It’s also because Sing It On’s executive producer is John Legend C’99 Hon’14 and Pop’s president is Brad Schwartz C’95. Surovell says the OTB singers were perfect docu-series fodder: attractive, smart, charismatic, and able to deliver quippy interviews for talking-head segments. Barksdale and Waghani have both started non-entertainment careers since graduating last May, but for Park, a junior who served as the group’s business manager during filming, the future looks different now. Once fuzzy on his post-Penn plans, he now hopes to work in the business side of the entertainment industry, inspired by the Sing It On experience. “It felt so awesome to come back to Penn this year with a purpose,” he says. While the gigs haven’t started pouring in yet, OTB has been hearing from individual fans and from other a cappella groups who watch the show together, according to Park. He’s hoping the momentum keeps building after the show appears on Netflix in the coming months. The group’s also preparing to celebrate its 30-year anniversary this spring. Haneol Jeong W’18, vice-president of OTB, says an alumni album is in the works, along with a weekend of events this spring. Park confirms that another round of ICCA competition “will 100 percent not be happening this year. But for my senior year,” he adds, “I’d definitely like to back up what I say in episode six—which is that I’ll be coming back [to ICCA] with a vengeance.” And Surovell says that Pop hasn’t ruled out casting another Penn group in the future. In light of recent events, I formally redact my White House statement.